Visiting the dentist today so teeth on my mind. 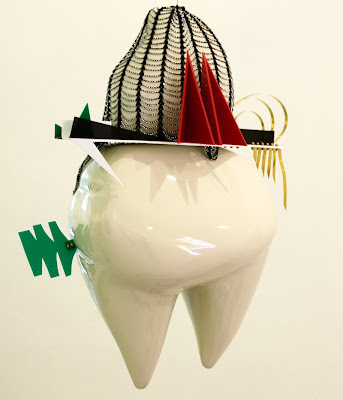 Giant tooth sculpture is by Gary Webb an English artist who lives and works in London. He works with industrial materials producing playful often humorous pieces. The piece is in a private collection in Italy. -Hope all goes well at the dentist. It is a place we all have to go to, even if it is not always a nice visit. Had no idea teeth could be so cool. Hope you have a clean bill of health.